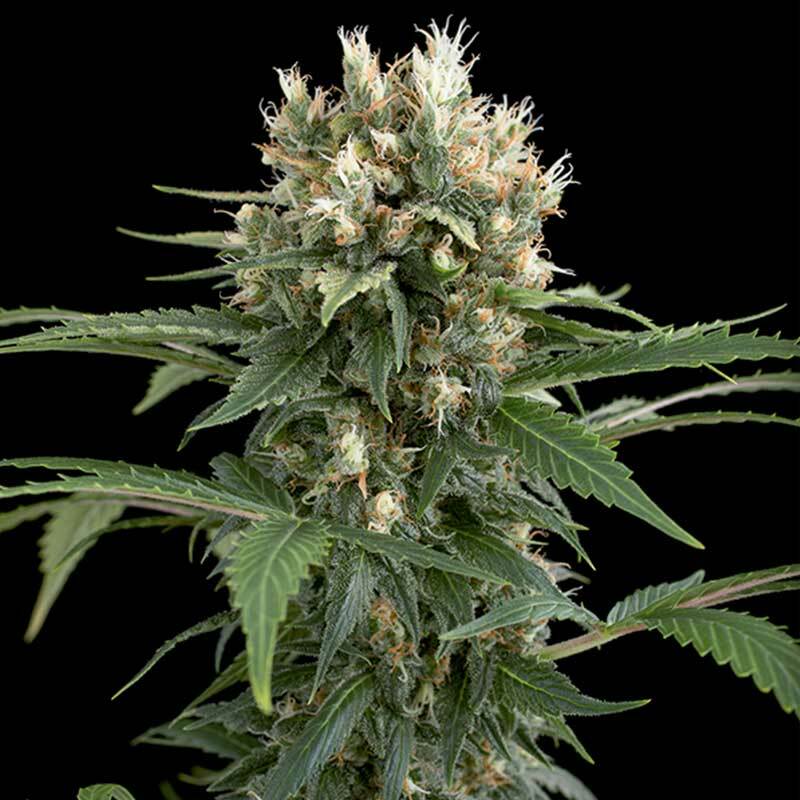 Blue Thai cannabis seeds by Dinafem Seeds belong to an Sativa/Indica, feminized cannabis strain that originates from the cross of a Blueberry and a Thai Skunk. The result is a high-quality hybrid that is distinguished by its complexity. Blue Thai cannabis seed was designed to obtain a strain based on Thai genetics, which are often difficult to grow but which have been stabilized in our Thai Skunk. It is an outstanding, high-yielding, easy-to-grow, vigorous marijuana plant that flowers fast and produces big, compact buds covered in resin. Perfect for those who enjoy fruity strains. Blue Thai marijuana seed produces a medium-sized plant that performs well indoors and under sunny, dry, Mediterranean climates or in the greenhouse outdoors. Quite resistant to mould, it features interesting properties that are worth discovering. Blue Thai has an intense flavour and aroma, with hints of citrus, exotic woods and berries. The effect is powerful and physical and cerebral, as it starts with a cerebral high that evolves into a long-lasting feeling of physical relaxation.